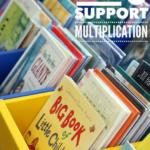 A few months ago, I wrote a post about using read alouds to teach multiplication. 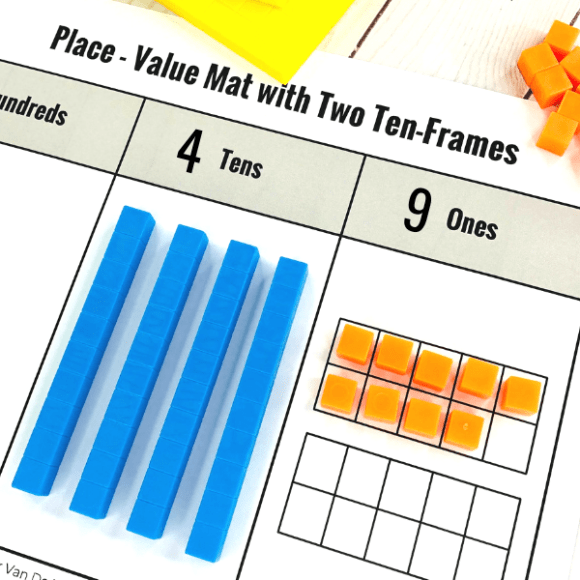 I am always on the lookout for new ideas to help students master their multiplication facts. Interestingly, I didn’t always enjoy learning my multiplication facts. I remember sitting down in the kitchen with my dad and copying facts on index cards. It was so boring! I just wanted to go outside and play, but I knew my dad wanted the best for me. 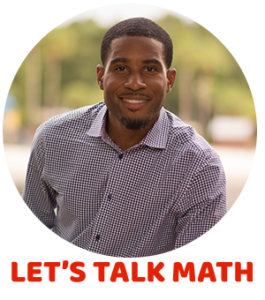 Fast forward 25 years and now I want to make sure that learning multiplication facts don’t have to be a dull task for students. There are many different ways to make learning your facts fun. Kids love music and beats. They can learn almost anything with great music. Find songs and videos that help make learning the facts fun. You can find a large variety of multiplication songs on YouTube. 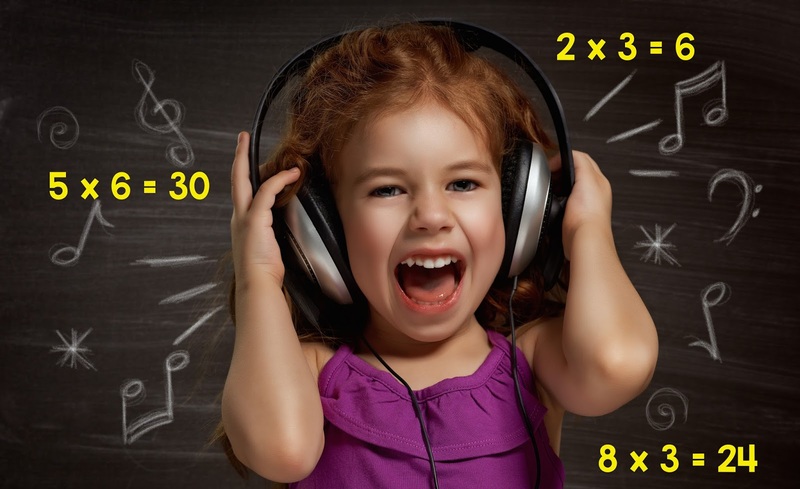 This site has a list of the Best Multiplication Songs for Kids. If you or your school is willing to spend a little extra cash I would highly recommend Flocabulary. They have some really great songs with excellent beats that older kids will love, but you will need a subscription. 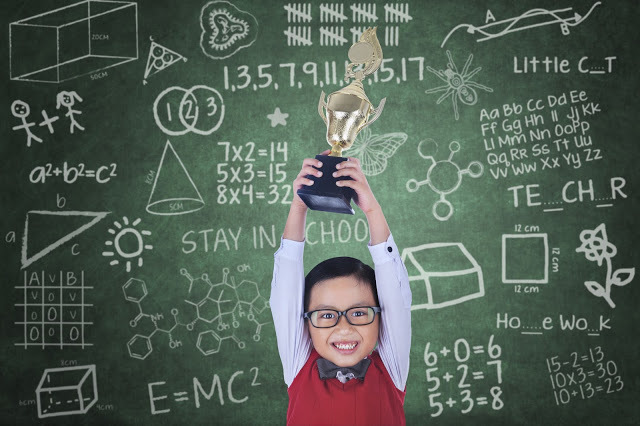 Get kids motivated with math fact competitions! I have found that healthy competition gets high levels of student engagement. Note: If you have an odd number of students, make the extra student the score keeper. One way to differentiate the activity would be to pair students that are at the same academic level to compete against one another. Another way to increase student engagement is playing games. In this game, students spin and try to find an equivalent game card. Kids love this game because they are trying to get the most cards. 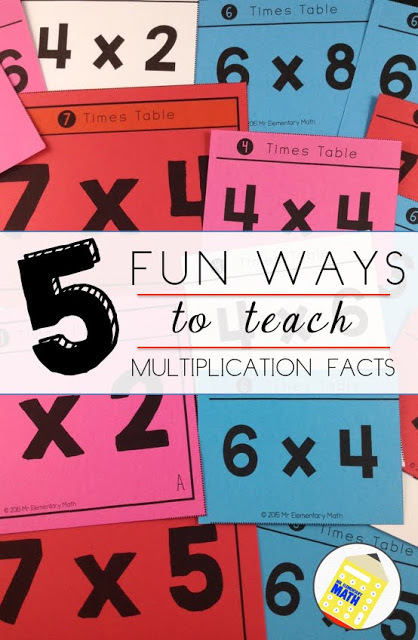 However, the best part is that they are exposed to different representations (arrays, number sentences) of multiplication facts for a deeper understanding. 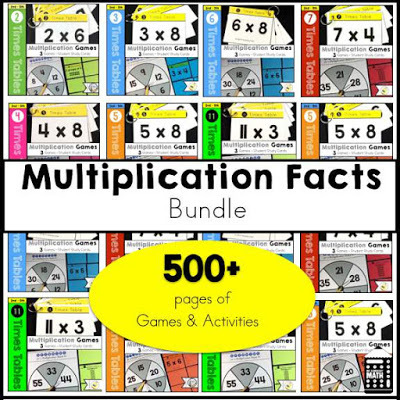 This game is included in Multiplication Facts Times Table resource. 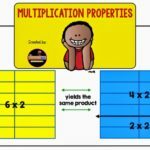 I’ve created one for each of the multiplication facts to 12. 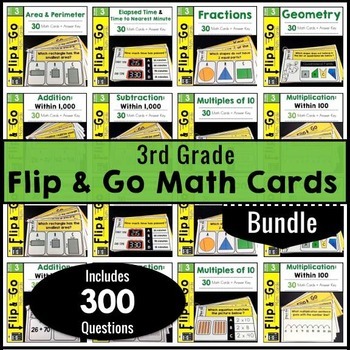 This resource is great because it includes 3 different multiplication games, student study cards, and a quick assessment. 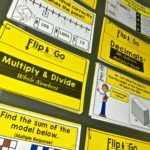 Download a FREE copy of the Multiplication Facts- 11 Times Table Games by clicking on the photo below. Another fun game is an oldie but goodie. 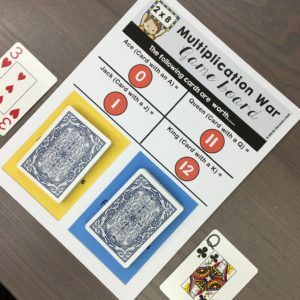 Most kids may be familiar with playing for the larger card, but switch this game up to become Multiplication War. This is a 2 player game. One student shuffles the cards and hands them out face down in two piles. Both students countdown (3, 2, 1, GO!) and flip over the top card from their face down pile. 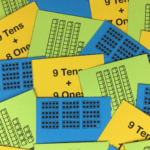 The first student to accurately multiply both numbers on the cards wins the set. When all cards are gone, the student with the most sets is the winner. Note: If you are using the Ace, Queen, and King in the deck, be sure to give them a numerical value. For example, the Ace could be worth 0, Jack could be worth 1, Queen could be worth 11 and the King could be worth 12. Don’t forget to take the Jokers out. 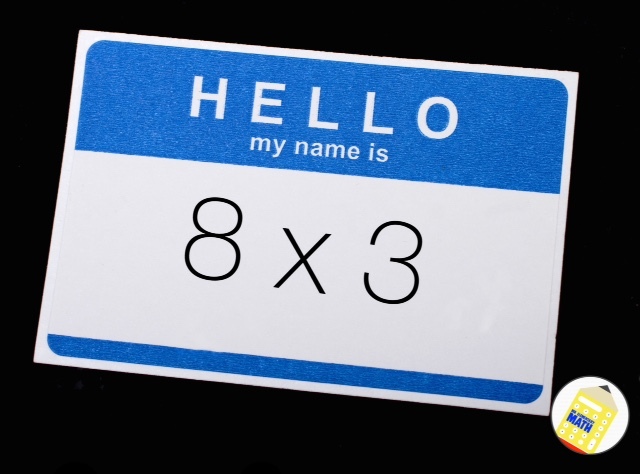 Get kids moving with multiplication name tags! This activity will appeal to your kinesthetic learners. 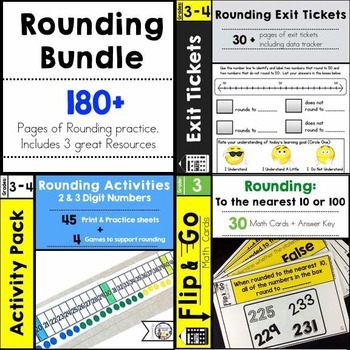 If you are looking for fun games that reinforce multiplication facts 2 through 12, then check out my Multiplication Facts Bundle. Each fact includes 3 engaging games (Multiplication Face Off, Multiplication Flip, Spinning for a Multiplication Match), student study cards and a quick formative assessment that can be used in a whole group competition. Click HERE to download the preview from my TpT store. 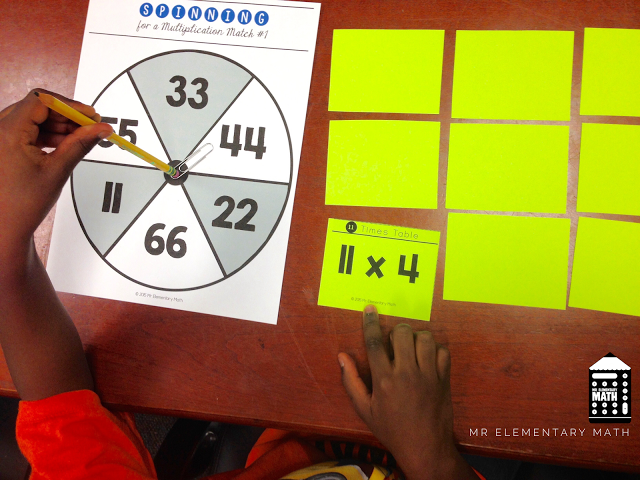 Do you have any fun multiplication games that you use in your classroom? If so, please share in the comments section below. GGreat ideas thanks! I knew a teacher who would pop on the multiplication songs the last few minutes of the lesson and the kids loved singing along to it! We have a Multiplication Bee every Friday and my students love it! Very motivational. Works like a Spelling Bee. Amazing blog. Everyone likes to learn without stress, especially kinds, they avoid notebooks and books but if you give them blocks they will love to calculate. It will surely help parents and tutors to make their child learn. I love your Multiplication War template, but there is an error. The Queen card should have the letter Q not J. Thanks so much for noticing that. I just changed it! Hi there! I just came across your blog for the first time and I LOVE your ideas! So glad I found your blog! I love the spinner game! Thank you Rachel. I am glad you found my blog too. Welcome! I hope that you will continue to find useful content. I use a game called Around the World. My kids love it. How do you play Kris? Children sit in a circle with one student (the one going around the world) standing behind a student of their choice. The teacher calls out a math fact (or the in student can roll 2 large 12-sided dice) and the 2 students race to answer the fact. If the standing student is 1st, they move around to stand behind the next student in the circle. If the sitting student is 1st, they switch places with the standing student. If a student makes it "Around the World" by beating every student in the circle, they can win a prize etc. Your welcome Debbie. I hope that you found something that you can use in your classroom.